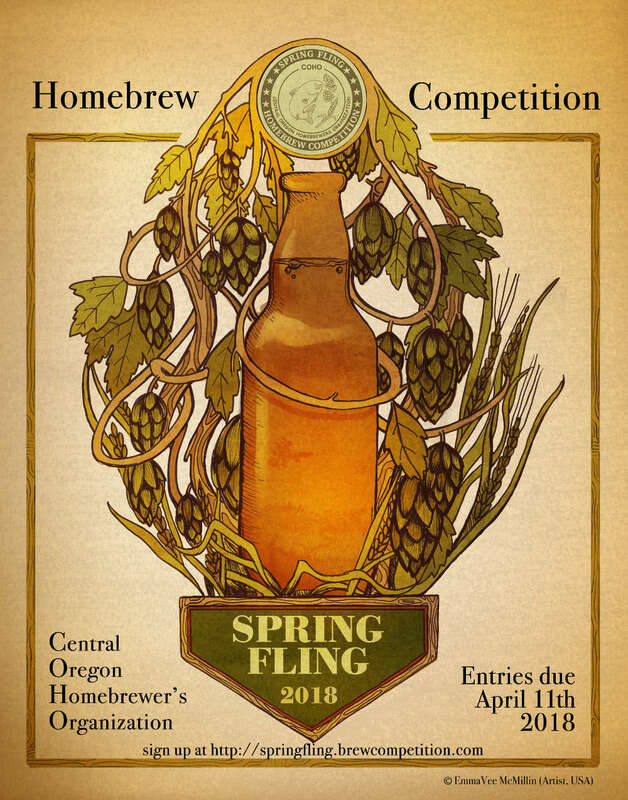 Bend, OR – March 13, 2018 – The Central Oregon Homebrewers Organization (COHO) annual Spring Fling homebrew competition returns this April and is now accepting entries. The event takes place the weekend of April 27 - 29, 2019, at the Aspen Ridge Retirement Community in Bend. Judging takes place Friday and Saturday, April 27 and 28, with the awards ceremony on Sunday, April 29. The awards ceremony is open to the public starting at 1:00 p.m. and in addition to the announcement of the winners there will be a raffle and the opportunity to sample many of the submitted beers. Spring Fling is an AHA sanctioned event and open to any amateur homebrewer age 21 or older. Professional brewers are also welcome as long as their beer is brewed on a home-system and not a professional system. The competition is open to all homebrewed beer, mead, and cider represented in the 2015 BJCP Guidelines, and the deadline to submit entries is April 11. Brewers may enter more than one beer in each category but may enter each subcategory only once. There is a limit of 350 total entries that will be accepted. 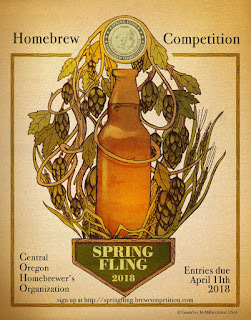 Visit the official competition website at http://springfling.brewcompetition.com/ for full details and to register to participate in Spring Fling.